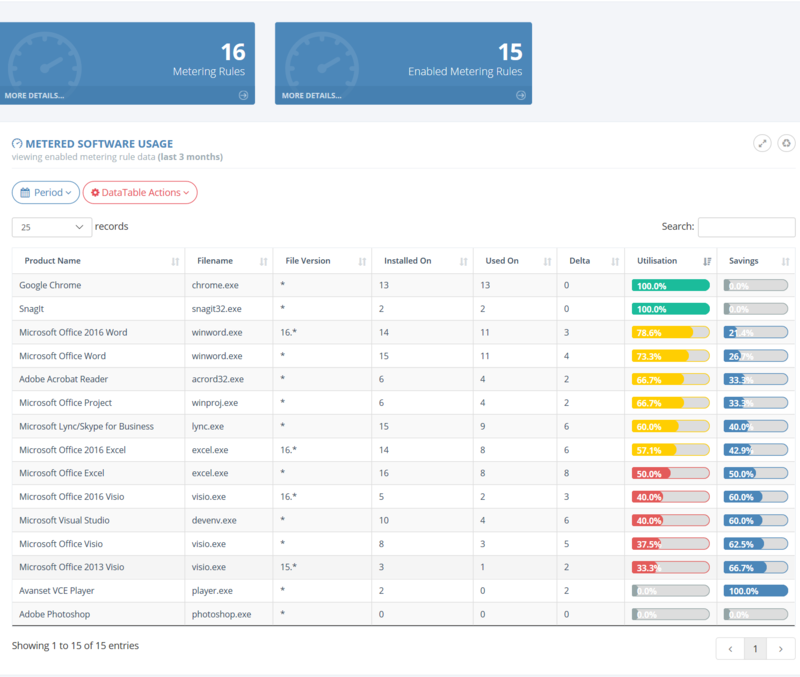 Callisto provides detailed dashboards for reporting and analysis capabilities across the System Center dataset with summary and detailed reporting of multiple areas. SCCM, SCOM and SCSM data is presented in graphically rich data-dense pages. The HTML5 Responsive platform ensures Callisto can be used across devices and platforms regardless of the screen size and resolution. Licensing is calculated monthly in customer-size bands. There is no need to be an expert in System Center. Open the Callisto homepage and get going immediately. System Center Configuration Manager (SCCM) hosts a rich database of inventory, status, compliance and health data, but accessing this data can be complex, time consuming and require knowledge of the inner-workings of Configuration Manager. The SQL Reporting Service reports provided with Configuration Manager are text-heavy, non-responsive and slow to work with. Callisto requires no training of prior-knowledge of Configuration Manager, it is designed to put the answers to your initial questions right in front of you and to allow you to dive deeper into the data presented to extract all the intelligence available from the Configuration Manager tool. The Resources areas show graphical representations of inventory data. All charts are interactive, can be filtered by collection and other categories where appropriate. The data used to construct the charts is surfaced below, is searchable and clickable and can be exported to Excel, PDF, Clipboard, etc. for further analysis. 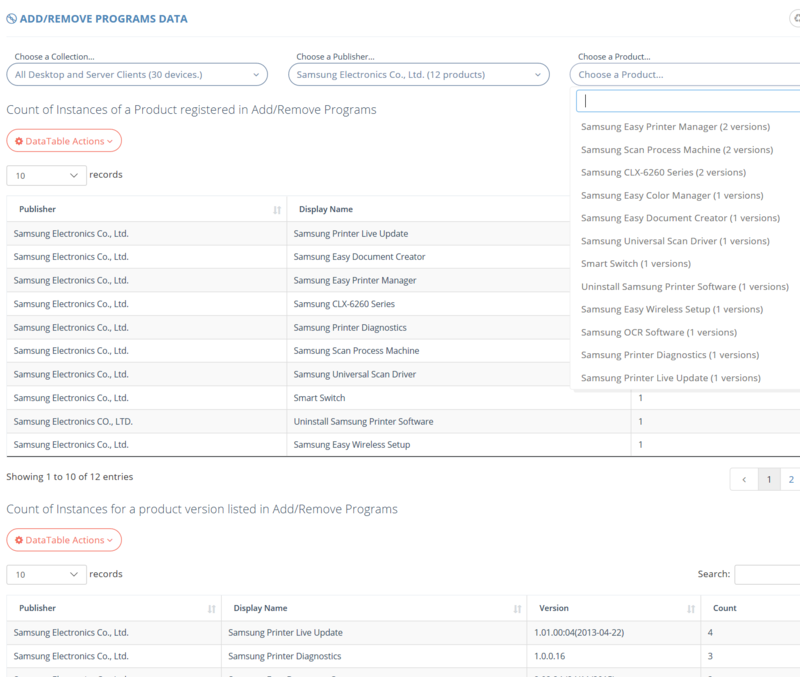 The Software Inventory pages give instant and responsive access to Add/Remove Programs and ISO tagged file data. 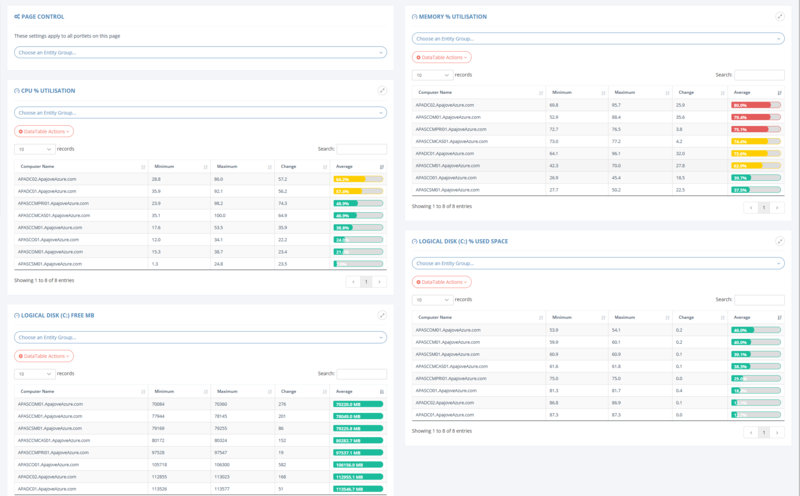 Results can be filtered by collection, publisher and product and instantly analysed, searched and reported on. Click-through provides details of the machines with the selected applications. The Software Metering pages show software usage statistics over time. 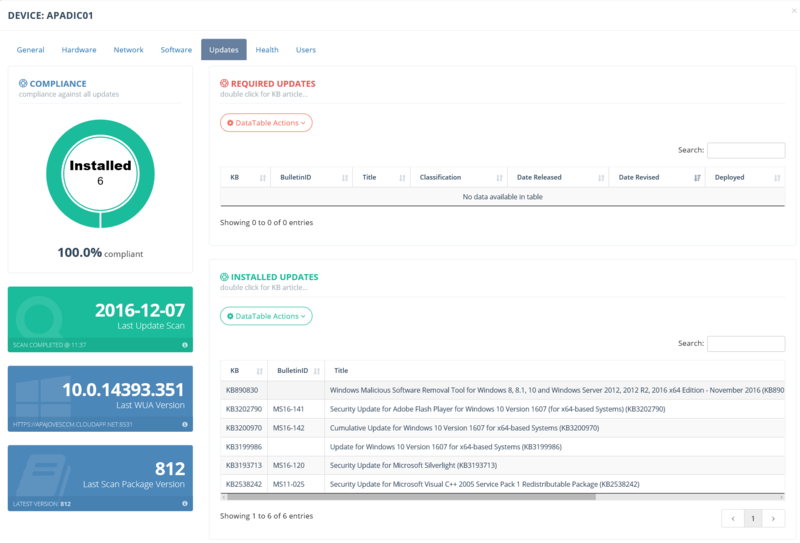 Easily identify where software is unused, drill through for details on individual machines and user’s usage and export lists of devices with unused applications to enable to removal of these apps with Configuration Manager. 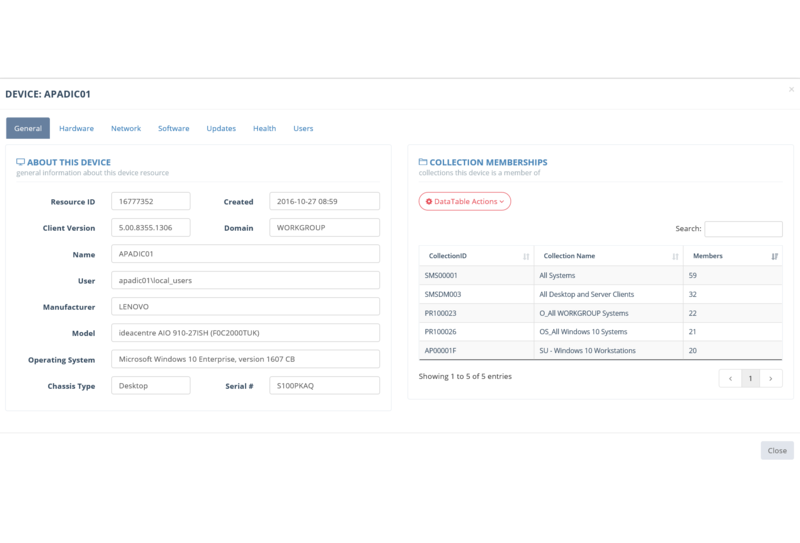 View software update compliance from a scan and installed/required position for specific collections and software update groups. 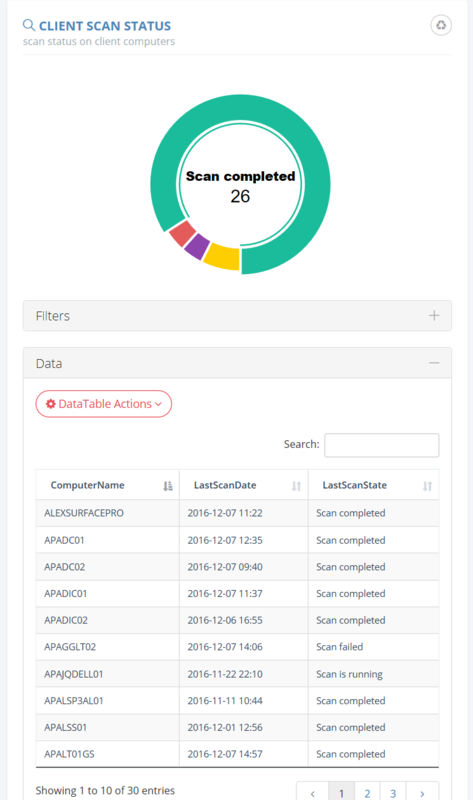 We also present Endpoint Protection compliance status. 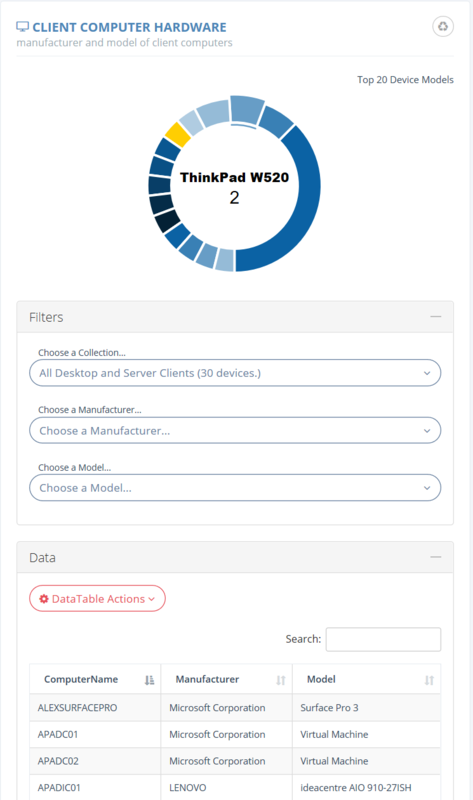 The device modal brings together data from across the Configuration Manager dataset to provide a single-object view of a wide range of data including hardware and software, compliance and warranty details. Accessing good reporting data from System Center Service Manager (SCSM) can be complex, requiring SQL Reporting Services and Analysis Services to analyse OLAP Cubes in Excel. 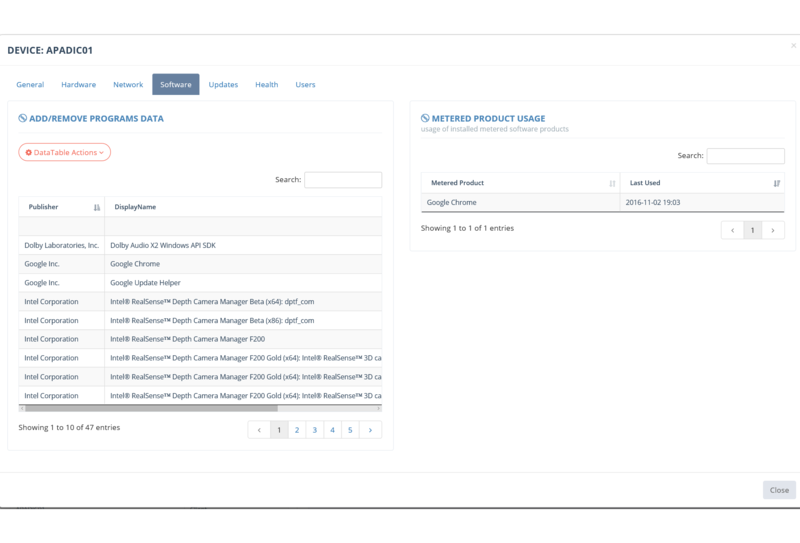 Callisto removes the requirement for the Data Warehouse and provides a rich graphical interface into Incident, Change and Service Request data. 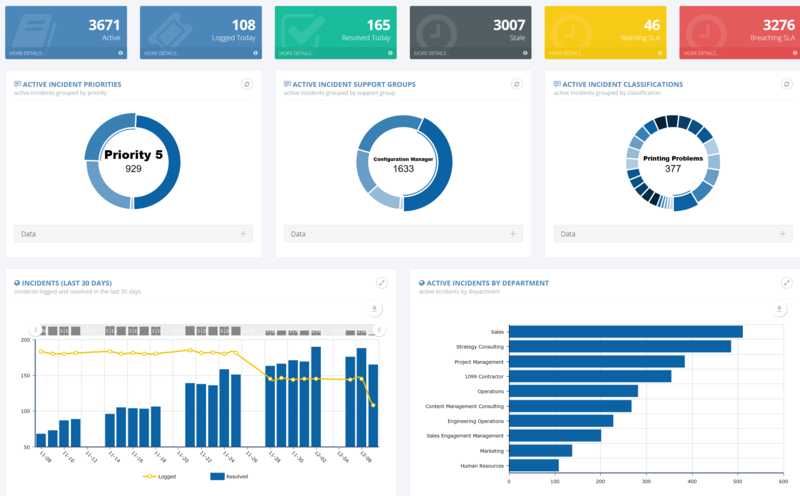 Service Manager data is presented in new and accessible ways including charting and calendar views as well as timelines and data tables which can be filtered, annotated and exported. At-a-glance overview of the health of the Incident Process. 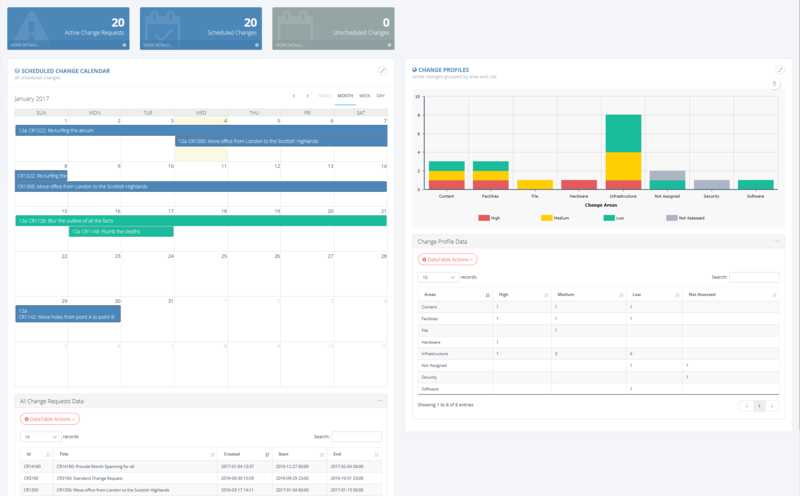 Identify daily, weekly and monthly trends, analyse incidents by department, support group and classification, avoid SLA breach and prioritise resource allocation. The Callisto change calendar shows planned and completed changes by month, week and day. The change modal shows implementation, test and back out plans. The change charts allow analysis of changes by area and risk and assist in the planning of changes from a profile and time perspective. Here we view analyst activity. 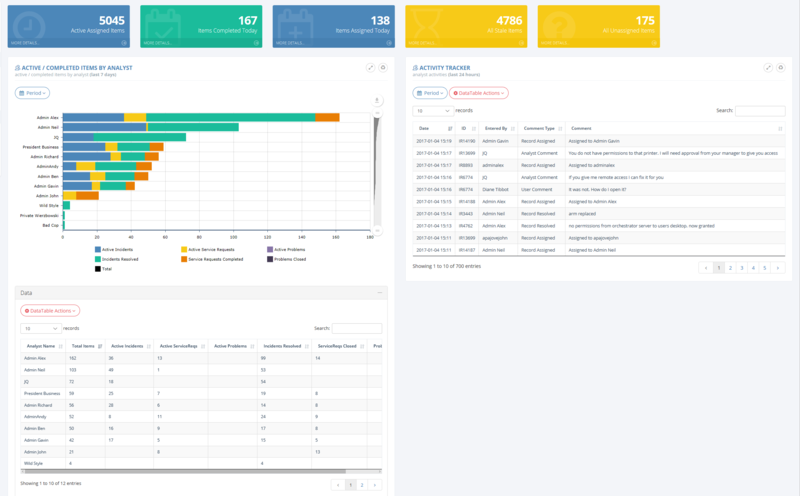 Graphically evaluate where analysts are spending their time, see a rolling timeline of analyst and end-user interaction and identify stale or neglected incidents and service requests. Plot analyst activities for specific time periods and further analyse the datasets through the Callisto export functions. Callisto shows alert, availability and status information. 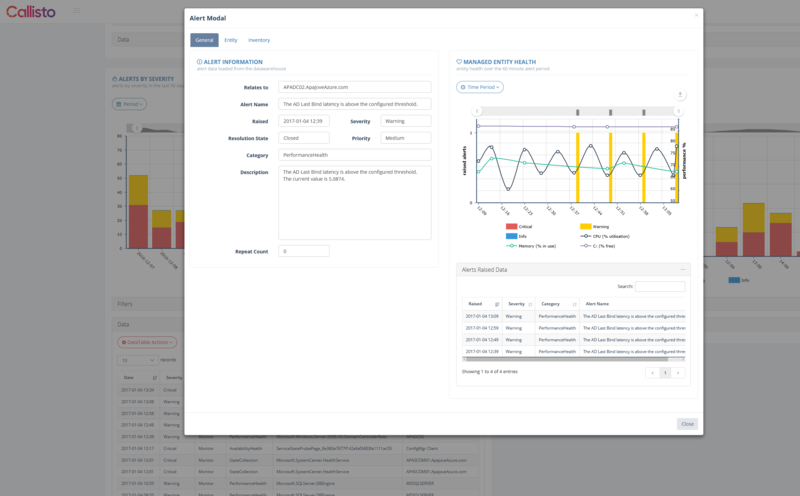 Analyse the health of the distributed datacentre environment, track bottlenecks and heavy utilisation, report on Management Pack status and the overall performance of Operations Manager (SCOM) and interact with the data provided by the Operations Manager agent in new and useful ways. 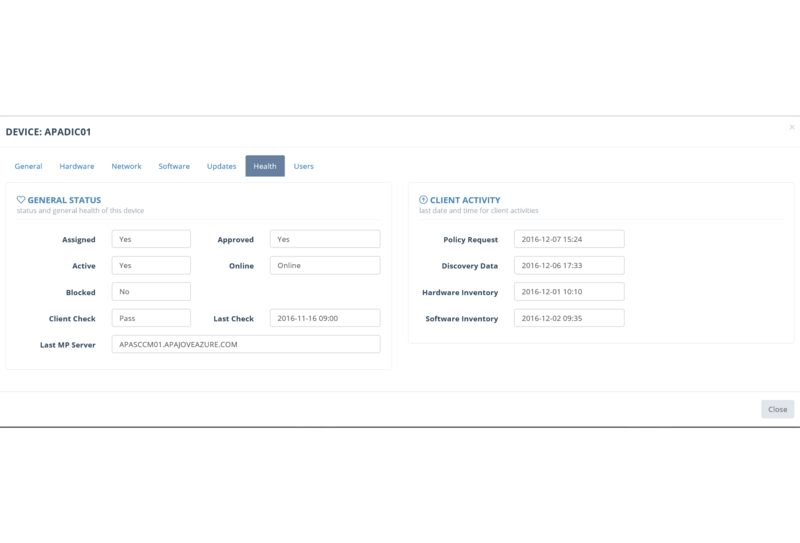 View alert data by severity, time, management pack, etc. 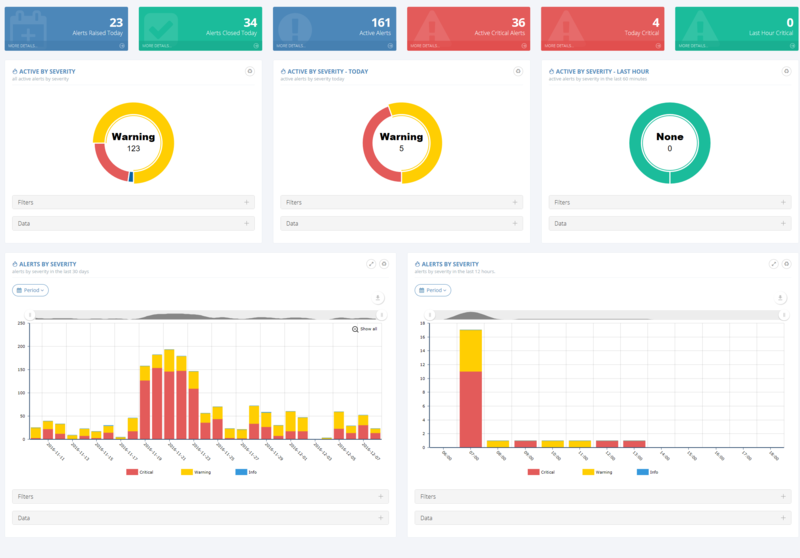 Spot alert trends and analyse alerts with the alert modal. 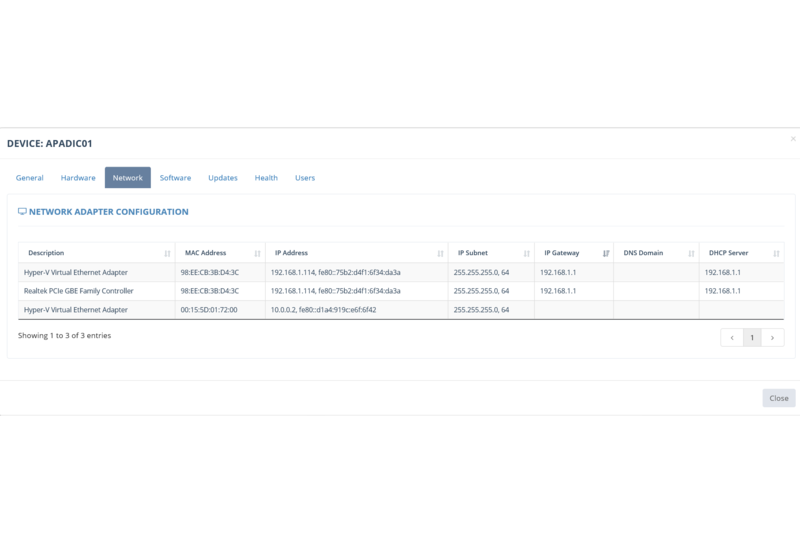 The Callisto Operations Manager Alert Modal shows the detail of an alert. It also surfaces the core OS performance statistics at the time of the alert and any other alerts happening within the alert timeframe. 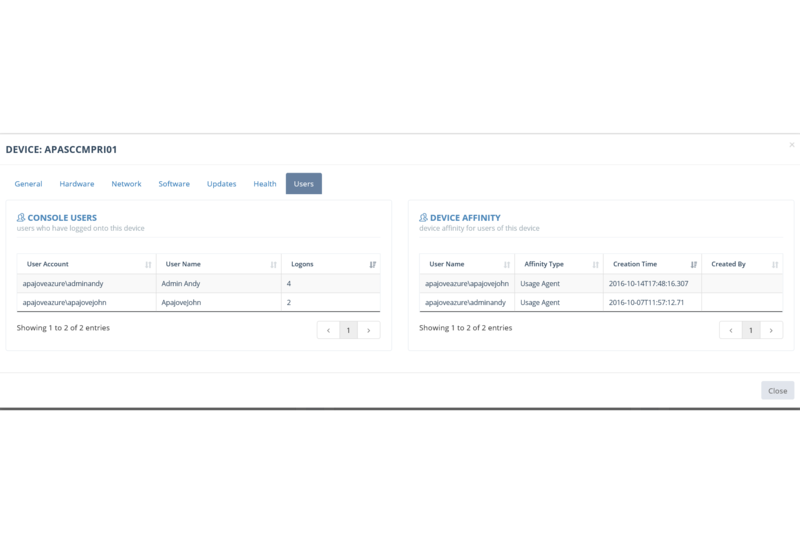 This allows trend spotting, identification of likely issues with OS performance and allows more rapid analysis of alert cause. Track the most heavily used components in the environment by hour, day or week. Filter by OpsMgr group and track processor, disk and memory utilisation. And we’re adding new features to Callisto all the time to expand the capabilities in the products listed above and to add new functions for other components of the System Centre portfolio. All Callisto licenses are software assured so as new features are released you can begin to use them immediately.